They say 'You can't buy happiness, but you can buy ICE CREAM and that's pretty much the same thing.' Now you can be happy everyday! Introducing DENADA SUGAR FREE, completely guilt free and everything an ice cream should be silky, creamy and downright indulgent. We strive to provide an all natural, sugar free, extremely indulgent but completely guilt free, alternative dessert to the Australian market. We believe that no one needs to, or should eat refined sugar. We also believe that everyone deserves to 'treat' themselves without that feeling of guilt. We want to make people feel great and by providing a simple swap, we know we can help decrease peoples sugar consumption without compromising on taste and texture, or going without. Let's be honest, we all love dessert! But, like us, you probably second guess every scoop of ice cream because deep down you know it isn't that good for you. The reason it isn't good for you is the ridiculous amount of sugar that lives in every scoop. Up until now, there was no escaping it. 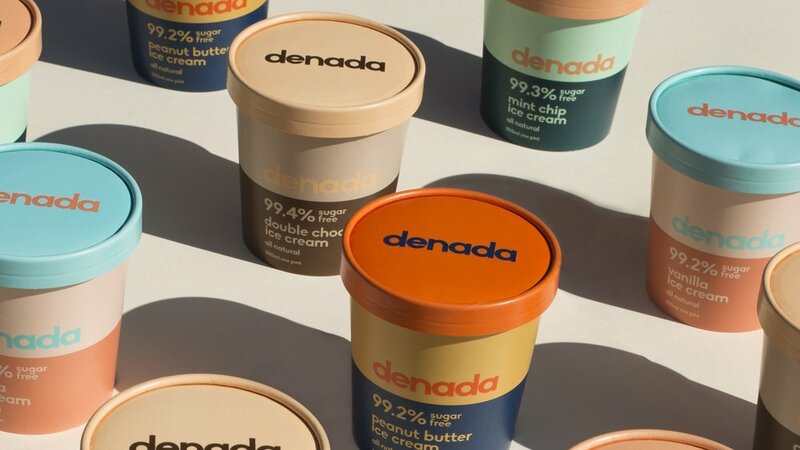 At Denada Co. we live (and we love) the ice cream life, so we have created a SUGAR FREE alternative that is creamy, scoop-able and delicious! Now you can have your ice cream and eat it too, all the time, GUILT FREE. HOW IS IT So delicious? At Denada Co. we can confidently say that our ice cream alternative is FREE from all chemical, artificial and unrefined sugars. We sweeten our desserts with love AND an all naturally occurring sweetener called Xylitol. Xylitol is extracted corncobs, so it’s 100% naturally occurring. It is also produced naturally in our bodies and has less calories and carbohydrates than sugar, so it helps reduce sugar cravings. Xylitol is perfect for people with special food requirements or diabetes. BUT xylitol is toxic to dogs, so keep it away from your furry friends. Sign up to our mailing list to hear the latest.